Six Mile Run Bible Club has been cancelled for today, Wednesday 2/6/2019. PTO Fundraisers are due on Friday the 26th. The Junior High Football game scheduled for this evening has been postponed until Monday, October 22. The JV Football game that was scheduled for October 22 has been cancelled. Don't forget that tomorrow October 4 is Picture Day! 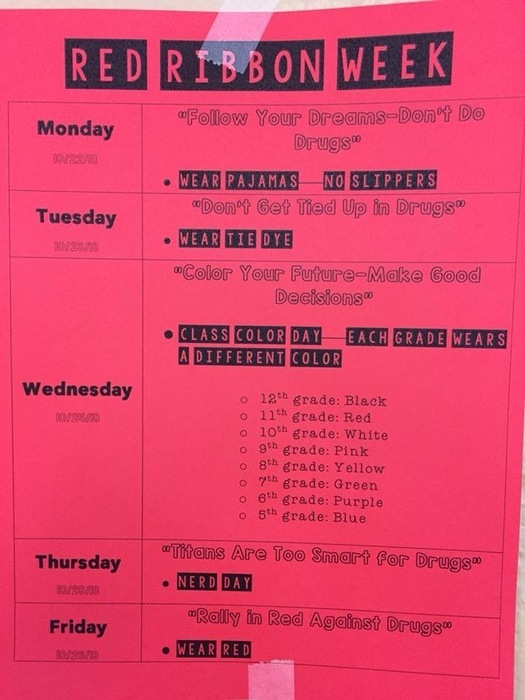 Next week is Spirit Week at the middle/high school! Monday is Jersey Day, Tuesday is Twin Day, Wednesday is Tourist Day (vacation attire), Thursday is Dress up day (it's picture day) and Friday is red and black or pink day. All outfits must follow the dress code.